(Part two of three) Green and yellow flags bearing an emblem of a hand grasping an assault rifle waved at a September rally in Washington. The flags of Hizballah, the Iranian-backed foreign terrorist organization, flying in the nation's capital, are a sign of defiance. For a group responsible for more American deaths than any terrorist group other than al-Qaida, whose leaders continue to view America as the enemy, Hizballah enjoys surprisingly open support within pockets inside the United States. From rallies like September's Al Quds Day protest featuring Hizballah flags and images of its leaders, to speeches endorsing its activity by national Islamist leaders, to a radical student movement that gives voice to its dogma, the Lebanese-based terrorist group that is considered an Iranian proxy is cast as a legitimate political player and heroic resistance movement. In fact, the rally's purpose – honoring Al Quds Day – continues a legacy established 30 years ago by the late Iranian Supreme Leader Ayatollah Khomeini, a continuing source of inspiration to Hizballah. Al Quds is an Arabic reference to Jerusalem and protests oppose Israel's control of the city. In addition to support for Hizballah, Al Quds rallies routinely feature incendiary rhetoric and call for Israel's destruction. The most recent event in Washington's Dupont Circle included a claim that the 9/11 attacks were a Zionist plot "in order to justify to occupy the land of the Muslims such as Afghanistan, such as Iraq, such as Pakistan, now moving on to the rest of the areas." The Hizballah flag and images of the group's leaders, like Hasan Nasrallah, are ubiquitous at anti-Israel rallies throughout the country. A 2006 protest outside the Los Angeles Israeli consulate featured chants of "Long Live Hizballah." A 2000 rally in Lafayette Park featured the nation's most prominent Muslim political activist at the time garnering enthusiastic cheers when he asked the crowd if they supported the organization. Ideological support for Hizballah in the United States, however, is not limited to flag waving and chanting. U.S. government officials have accused one U.S. Muslim student group of providing intelligence to Hizballah's biggest financial and political supporter, Iran. In 1987, a group of Persian speaking Muslims publicly pledged allegiance to the Iranian government and handed out literature written by the then- Iranian Supreme Leader Ayatollah Khomeini during a conference in Dallas. The group, the Muslim Students Association, Persian Speaking Group (MSA-PSG), is also known by its Farsi name, Anjoman Islamie. Federal officials have repeatedly linked the group to Hizballah and the Iranian government. A 1994 FBI report on Hizballah activities in the U.S. obtained via the Freedom of Information Act said "Hizballah also is known to be in contact with the Anjoman Islamic [sic], an Iranian student group active in the United States." In 1998 testimony before a U.S. Senate subcommittee, then-Chief of the International Terrorism Section of the FBI Dale Watson said that members of the Anjoman Islamie are heavily relied upon by the Iranian government "for low-level intelligence and technical expertise." Watson added that, "the Anjoman Islamie also provides a significant resource base which allows the government of Iran to maintain the capability to mount operations against the United States." FBI Director Louis Freeh echoed Watson in testimony before the U.S. Senate in February of the following year. Freeh explained that American cells of Hizballah and other terrorist organizations revolve around collecting low-level intelligence and that Iran "relies heavily upon" students living in the United States for this type of information. At a February 2009 event in California entitled "The 1979 Iranian Revolution and its Impact on the World," frequent MSA-PSG conference speaker Abdul Alim Musa, imam at Masjid al-Islam in Washington and founder of the As-Sabiqun movement, said Hizballah accomplished "the greatest, one of the greatest events of unity because it's a Shi'a organization, a movement that withstands all the pressure of bombing and killing and everything in Lebanon." At a 1996 event in Johannesburg, South Africa, Musa defended Hizballah violence. "The minute the believers, the Hizballah, defend themselves after these crushing blows they are called terrorists, Musa said. "I think what happens a lot of times is they have a misnomer. They call the peace keepers, terrorists and the terrorist, peace keepers." Hizballah has expressed its desire to export a Khomeini-style Islamic Revolution to Lebanon. According to the U.S. State Department, Iran continues to provide weapons, training and funding to Hizballah. The State Department website details that Hizballah is "closely allied with, and often directed by, Iran" and also receives political, diplomatic and organizational aid from Iran. A 1985 Hizballah statement pledged loyalty to Iranian leadership. "We view the Iranian regime as the vanguard and new nucleus of the leading Islamic State in the world," the statement said. "We abide by the orders of one single wise and just leadership, represented by 'Wali Faqih' [rule of the jurisprudent] and personified by [Iranian Supreme Leader Ayatollah] Khomeini." MSA-PSG convention rhetoric backs up Watson's assessment about the group's support for Iran. At the 2009 convention, Musa called the "survival of the Islamic Republic of Iran" the "greatest epic in modern, even ancient history." Musa added, "United States is going down. We're on the rise." For the MSA-PSG's 2008 conference, Musa distributed a flyer calling for the importation of an Islamic revolution. "At this current stage, our quest is to emulate the life of our hero in contemporary times, Imam Khomeini, as we strive to establish the Islamic State of North America. His story is a story of ultimate success against unbelievable odds." The flyer featured a quote from Khomeini, which in reads in part, "resolve to establish an Islamic government." The MSA-PSG isn't the only student group hearing praise for Hizballah. At a 2008 Muslim Student Union event at the University of California, Irvine, Abdel Malik Ali, imam of Masjid al-Islam in California, called Hizballah "people with honor and respect. They're not going to allow themselves to be occupied, to be degraded, to be oppressed." The most common argument for Hizballah support in the United States is summed up in the last part of Ali's statement. A campaign to cast the group as a legitimate political movement and as a "resistance movement" against Israeli threats runs throughout organized American Islamist organizations. At the Islamic Society of North America (ISNA)'s 2009 conference, guest speaker author Cathy Sultan was not challenged when she said "Hizballah still serves a role. I think that Lebanon is still under constant threat from its southern neighbor. And I see nothing wrong, as long as Hizballah abides by certain rules and regulations. I see no reason why Hizballah should not remain armed." It's an argument advocates have been making for more than a decade. Salam al-Marayati, Muslim Public Affairs Council (MPAC) executive director, said in a 2006 radio interview that Hizballah is "basically part of a resistance movement against Israeli aggression." He made a similar argument on PBS' Newshour in 1999. "If the Lebanese people are resisting Israeli intransigence on Lebanese soil, then that is the right of resistance and they have the right to target Israeli soldiers in this conflict," he said. "That is not terrorism. That is a legitimate resistance." In 1998, MPAC Senior Advisor Maher Hathout staunchly defended the militant group at the National Press Club. Hizballah, he said, "is fighting only for freedom, an organized army, limiting its operations against military people, this is a legitimate target against occupation." In a 2003 policy paper, MPAC challenged whether the United States was correct in designating Hizballah as a terrorist group. In a similar paper four years earlier, the defense of Hizballah as a liberation movement was taken further, with MPAC legitimizing the group's violent actions and kidnappings. For example, the 1983 bombing of U.S. Marine barracks in Beirut, Lebanon that killed 241 U.S. Marines was not terrorism, the 1999 MPAC policy paper asserted. "Yet this attack, for all the pain it caused, was not in a strict sense, a terrorist operation. It was a military operation, producing no civilian casualties -- exactly the kind of attack that Americans might have lauded had it been directed against Washington's enemies," the report said. Other supporters argue that Hizballah is a legitimate political party in Lebanon. Despite its ugly side, they say, Hizballah is a multi-faceted organization that also provides social services. "You may think of Hizballah as a terrorist organization, and certainly they have engaged in terrorist acts, but they are also the most dynamic political and social organization in Lebanon," writer and Muslim scholar Reza Aslan explained in a 2009 speech. Likewise, CAIR-Michigan Executive Director Dawud Walid emphasized earlier this year to an audience at Washentenaw County Community College in Ann Arbor, that there are "different wings" of Hizballah. "They run schools, hospitals, humanitarian aid, and they have a military wing," he said. "But the whole organization has been lumped as a terrorism organization." "'[F]oreign organizations that engage in terrorist activity are so tainted by their criminal conduct that any contribution to such an organization facilitates that conduct.' ... 'Material support meant to 'promot[e] peaceable, lawful conduct,' ... can further terrorism by foreign groups in multiple ways.... Such support frees up other resources within the organization that may be put to violent ends. It also importantly helps lend legitimacy to foreign terrorist groups—legitimacy that makes it easier for those groups to persist, to recruit members, and to raise funds—all of which facilitate more terrorist attacks. 'Terrorist organizations do not maintain organizational 'firewalls' that would prevent or deter . . . sharing and commingling of support and benefits.' ... '[I]nvestigators have revealed how terrorist groups systematically conceal their activities behind charitable, social, and political fronts.' ... 'Indeed, some designated foreign terrorist organizations use social and political components to recruit personnel to carry out terrorist operations, and to provide support to criminal terrorists and their families in aid of such operations.'" Holder et al. v. Humanitarian Law Project at al, 561 U.S. , ___, 130 S. Ct. 2705, 2725 (2010), (citations omitted). See part one of our series here. 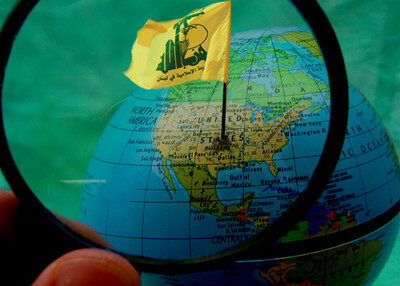 In part three, we examine prosecutions of Hizballah supporters in the United States, from criminal operations to raise money to attempts to procure weapons and other tactical equipment.